Monday(9/21/09), 7 pm, Levitt Shell - Tribute Jim Dickinson Concert; free. Yes, he recorded at American Studios, Ardent, Sun, and Atlantic Records. Yes, he played with Aretha Franklin, the Rolling Stones, Bob Dylan, and Ry Cooder. Yes, he is the producer who brought out the best in Big Star, The Replacements, and Amy LaVere. Yes, he's the one who played with Mudboy and the Neutrons and led the house band for Thacker Mountain Radio. Yes, he taught and encouraged his own sons (Luther and Cody Dickinson/North Mississippi Allstars, Hill Country Revue, Black Crowes) and many others to play as if their next note might be their last. But Jim Dickinson's loss is not just to Memphis music, it's a loss to our community in the larger sense and to Friends for Our Riverfront in particular. His role in supporting what's "real" and good about Memphis goes back a long way. Click read more below. In the summer of 1963, his Market Theatre, located in the old farmer’s market near the Sears Tower, brought experimental plays and hootenannys to Memphis. He was the first person to rent the Overton Park Shell for a non-municipal concert, putting on the first Memphis Folk Festival. In 1964 Jim began a long run as a folk singer at the Bitter Lemon Coffee House on Poplar Ave. and was active in putting on the Memphis Blues Festivals for the rest of the decade. In 1965 he began working as a musician at Chip Moman’s American Studio and as a musician/producer for John Fry at Ardent Records. December 4, 1969, Jim recorded “Wild Horses” with the Rolling Stones at Muscle Shoals Sound Studios, which was released on the album, Stick Fingers. 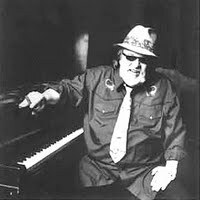 In 1970 Jim and his wife Mary Lindsay moved to Miami with his Memphis band, The Dixie Flyers, where they recorded fourteen albums for Atlantic Records with such artists as Lulu, Petula Clark, and Ronnie Harkins, including Aretha Franklin’s Grammy winning “Spirit in the Dark.” In the early ‘70s Jim sang “Cadillac Man,” for Knox and Sam Phillips. It became the last Sun record to be released. Though he traveled the world to record, score movies, and perform, Jim couldn’t stay away from Memphis, his musical home. He never stopped extolling Memphis and the vast musical force of the city. In 1977 he recognized the authenticity and significance of Beale Street and the musicians who played there. He saw the city neglecting and urban renewing it into oblivion, and he did something about it. His "Beale Street Saturday Night" made a loud and forceful cry to save the street, the Orpheum Theatre, and all that they embodied. His loss is deeply felt in this community - his talent, independence, and clear voice -- as a conscience to remind us of what is essentially good about Memphis and as a rallying cry to get up and do something about it. As Chris Herrington wrote in the Flyer, "His wit, heart, insight, and fierce love for his home region were palpable in everything he did or said." Note: Visit Zebra Ranch.com for more info. on Jim’s life and work. You can also purchase his recordings, including “Save Our Riverfront,” in the site’s Store.